Alastair Campbell Caithness is CEO and Founder of Ziyen Inc., Alastair leads the company in its mission. He oversees all company operations including investor relations, the leadership of the Board of Directors, and daily business activities. Alastair has developed in-depth knowledge of Regulation A+ process, Title IV of the JOBS Act, having written the original SEC Qualified Offering for Ziyen Inc. and continues to maintain knowledge of the process, current regulatory requirements and works with the company’s Legal Team and SEC attorneys to maintain compliance. 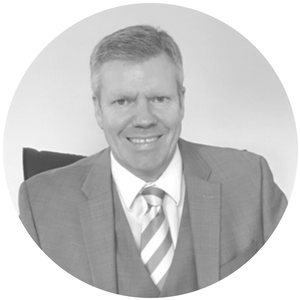 In the past Alastair was Head of Sales & Marketing for a leading e-procurement company working for the UK government, set up an oil and gas project tracker in the Middle East and operated globally as a Business Development Manager for an international cable portal. He is originally from Scotland, with a BA Honours in Business Studies from the Robert Gordon University, Aberdeen and now lives and resides in San Diego with his wife, Leilani and two boys.